Let the world roam around you while you take high jump with the fantastic and dramatic Winged Dragon! with a wingspan stretching nearly four feet wide and measuring almost four-and-a half feet from forked-tongued snout to the tip of its powerful tail. 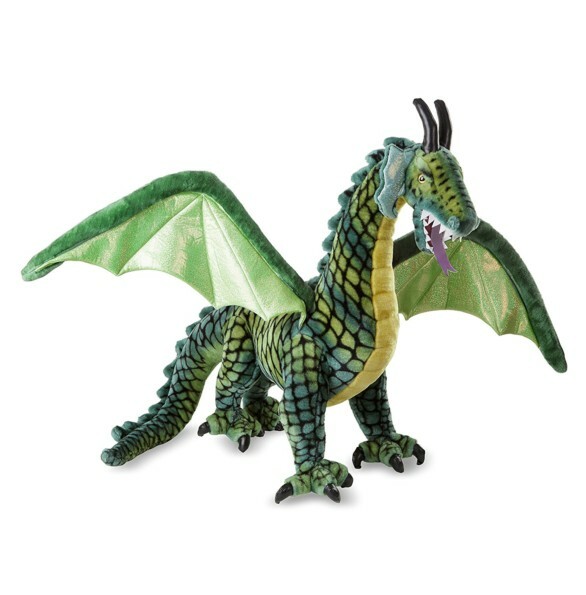 This massive giant and impressive green-scaled Dragon with vinyl talons and horns can really create some spark in your imagination.